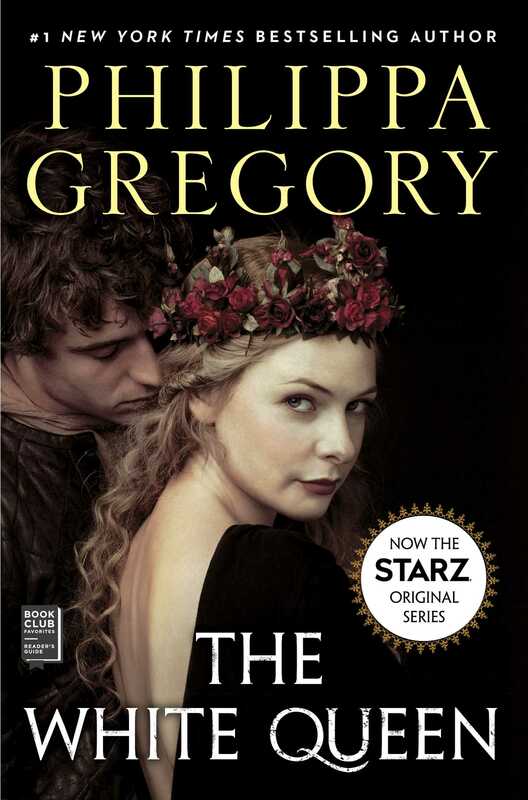 The inspiration for the critically acclaimed Starz miniseries The White Queen, #1 New York Times bestselling author Philippa Gregory brings to life the extraordinary story of Elizabeth Woodville, a woman who rises from obscurity to become Queen of England, and changes the course of history forever. In this dazzling account of the deadly Wars of the Roses, brother turns on brother to win the ultimate prize: the throne of England. This reading group guide for The White Queen includes discussion questions and a Q&A with author Philippa Gregory. The suggested questions are intended to help your reading group find new and interesting angles and topics for your discussion. We hope that these ideas will enrich your conversation and increase your enjoyment of the book. 2. How does Elizabeth and Edward’s clandestine marriage change England’s political landscape? 3. Anthony tells Elizabeth that she and Edward are creating enemies by distributing wealth to their “favorites, not the deserving” (page 204). What are your thoughts on Edward and Elizabeth as monarchs? How adept is Elizabeth at playing the political game, both before and after Edward’s death? 4. What is your view of Elizabeth as a daughter, a sister, and a mother? Her daughter Elizabeth says to her, “You love the crown more than your children” (page 312). Does Elizabeth, in fact, place her ambition ahead of her children’s well-being? How does she regard her daughters versus her sons? 5. Compare the Plantagenets and the House of York with the Woodvilles. What are the most apparent differences between the two families? What similarities do they share? 6. Elizabeth makes some questionable moral choices, such as standing silently by while her husband and his brothers murder Henry IV and knowingly putting a page boy in harm’s way by sending him to the Tower in place of her son. Are her actions justifiable or not? How does she feel about the choices she made? 7. What is the significance of the legend of Melusina? Anthony dismisses Elizabeth’s belief in Melusina and in her own mystical abilities as “part fairy tale and part Bible and all nonsense” (page 239). Is he right, or are she and Jacquetta really able to perform magic? With the penalty for witchcraft being death, why do they take the risk? What unintended consequences are there of some of their actions? 8. In what ways are women especially vulnerable during this tumultuous time? What power do women have? How do Elizabeth, Jacquetta, Cecily, and other female characters in the novel use their intelligence and influence? 9. Elizabeth is aware of and even tolerates the king’s adultery. Why then does she take exception to his association with Elizabeth Shore? Why does Edward’s former mistress later come to the queen’s aid while she is in living in sanctuary? 10. When the younger Elizabeth pleads with her mother to come to an agreement with Duke Richard, why does she refuse to even consider the idea? How does the relationship between mother and daughter change while they are in sanctuary for the second time? 11. “Despite my own caution, despite my own fears, I start to hope,” muses Elizabeth. “I start to think that if King Richard marries Elizabeth and makes her his queen I will be welcomed at court again, I will take up my place as My Lady, the Queen’s Mother” (page 392). After all the bloodshed, why is she willing to risk putting her daughter on the throne? 12. The fate of the two princes in the Tower is a mystery historians have been trying to solve for centuries. 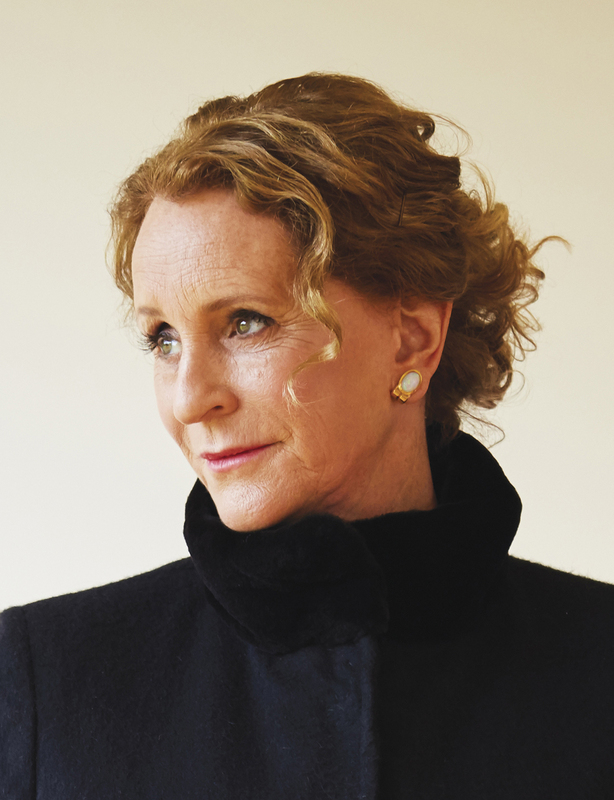 What is your opinion of the way Philippa Gregory presents this aspect of the story? Richard, Duke of Gloucester, is suspected of being responsible for their deaths. Why is Elizabeth inclined to believe him when he says he did not order her sons to be killed? 13. Elizabeth paid a high price for the throne, losing her father, brothers, and two of her sons. What, if anything, do you think she would do differently if given the chance? What would you have done in her situation? 14. When Edward is overthrown and flees to France, Elizabeth says, “It is as he warned me: he could not spread out the wealth quickly enough, fairly enough, to enough people” (page 130). What does The White Queen reveal about human nature? 15. How does The White Queen compare to other works of historical fiction you have read, including books by Philippa Gregory? The novel has somewhat of a cliffhanger ending. Are you interested in reading the next book in the series? Why or why not? For readers who love your books set in Tudor England, what you would like them to know about the Plantagenets and the House of York? I suppose I’d like them to know that here is a family just as fascinating as the Tudors, perhaps more so. Certainly, they are more complicated, more wicked, and more passionate—takers of great risk. I think people have been put off this period because it has been so well studied by military historians that it has been regarded as being just about battles. But there is so much more to it than this! The history of the women of the period has been very neglected because of this emphasis on battles and thus the male leaders. What appealed to you about using Elizabeth Woodville as the main character in a novel? In what ways do you think modern women can identify with Elizabeth? Throughout the novel there are scenes relating the story of the goddess Melusina. Is this based on an actual historical fable, or is it something you created for the novel? The fable of Melusina is well known, perhaps to everyone, in its retelling as the story of the Little Mermaid by Hans Christian Andersen and then in the Disney movie. As I say at the beginning of the novel, the legend of Melusina goes far back in time, perhaps to the classical legends, perhaps even earlier. The fable was studied by Carl Jung; Melusina has been identified as a form of the material of the world—the dark, watery element that combines with the sun in the alchemist’s “chemical wedding.” This is a potent myth, indeed, and I retell the story here in a way that speaks to my characters and to me. “These are not chivalrous times; these are not the times of knights in the dark forest and beautiful ladies in moonlit fountains and promises of love that will be ballads, sung forever” (page 22), you write in The White Queen. Is there a tendency to romanticize history, both for writers and readers? How do you make sure to realistically portray all aspects of the time period you’re depicting, even the more difficult ones? Yes, indeed. These are not chivalrous times. I suspect that no times have ever been chivalrous times. We glamorize the past, and we romanticize it; we even look back at our own personal histories and cast a rosy glow or an enhanced dark shadow over our own childhoods. I keep my writing grounded in realism by reading a great deal before I start writing, by looking at the record with a critical eye, and by being skeptical of grandiose claims. Having said that, I too find it hard to resist the charm of Edward or Elizabeth or the marvelous character Jacquetta or any of the other powerful and interesting people who strove for themselves and for their families in these dangerous times. These are not chivalrous or romantic times, but they are times of danger—and in such circumstances one sees both the worst and best in people. What challenges, if any, did you face when writing about the battle scenes and the military strategy, which was often a crucial factor in determining who took the throne? Did you visit any of the places where the battles took place? I became a researcher in military history, which is not my natural home! I visited battle sites and I read long and complicated descriptions of battles and the modern speculations. In the end I found myself absolutely intrigued and fascinated by how the battles were lost and won by small events, even sometimes by luck. The mist at Barnet is a recorded fact, and it was possible for me to weave it into the story of Elizabeth and her mother as well as to see it as a determining factor on the battlefield. The three suns of Towton were both a real phenomenon and a powerful metaphor for the troops. The history of battles is a central part to the story of the Cousins’ War, and part of my task in this novel and the others in the series was to take this history, as I take any other, and make it come alive in the novel. The fate of Edward and Richard, the princes in the Tower, is a subject that has confounded historians for centuries. Why did you decide to approach this aspect of the story the way you did? Is there evidence to suggest that Elizabeth sent her son Richard into hiding and a page boy in his place to the Tower? Part of my response to this story was simply emotional: I have a son of my own, and the thought of Elizabeth losing both her sons was tremendously painful. So I confess a bias to wanting at least one to survive. Then there is the historical evidence. A very interesting book by Ann Wroe, Perkin, suggested to me that the so-called pretender Perkin Warbeck might well have been the surviving prince, Richard. Her case for it is very compelling, as others have suggested too. There is other persuasive evidence that both boys were not killed as the traditional history (and Shakespeare) suggests. Even the traditional history—of them being suffocated in their beds in the Tower and buried beneath a stair—is filled with contradictions. If Perkin was Richard—and this is speculative history, as indeed all history around this genuine mystery must be—then Richard must have somehow survived. How could this have happened? It seemed to me most likely, not that he escaped from the Tower, but that he was never sent to it. His mother knew the danger her older son was in, had herself seen Henry VI murdered in the Tower, and was highly aware of the danger to her sons. It seemed to me most unlikely that she would hand over a second son when she had lost the first. The changeling page boy is my invention, but the history of Perkin in Flanders is based on his own confession. His story will continue in the series. Elizabeth’s father says to her, “We are forming a new royal family. We have to be more royal than royalty itself or nobody will believe us. I can’t say I quite believe it myself” (page 63). How unlikely was it that Elizabeth Woodville would become queen? How has she been remembered by historians? Elizabeth’s ascent to the throne is one of the great triumphs of a commoner and was considered so exceptional in her own time that one of the explanations offered was witchcraft. It is really a triumph of unlikely events. How unlikely that Edward, raising troops for a battle, would be diverted by a woman he must have met by chance? How unlikely that he would offer marriage when he knew as well as Warwick that to secure his reign he must marry well, preferably a European princess? How unlikely that even after a secret marriage he would honor his vows? It is a catalogue of unlikely events, and the only coherent explanation is that Edward and Elizabeth fell in love at first sight and married for love. Elizabeth, like many powerful and effective women, has been unkindly treated by historians. Some follow the gossip against her at the time that begrudged her good fortune; some point to the alliances she made for her family as symptoms of greed and self-aggrandizement. She gets little credit for surviving two periods in sanctuary, nor for her courage during the siege of the Tower. She is like many women “hidden from history” in the phrase of historian Sheila Rowbotham, and when her role is acknowledged she is often treated with very harsh criticism. Anthony Woodville, the queen’s brother, seemed to be ahead of his time in regard to education and culture. What more can you tell us about him? Was Elizabeth honoring his memory by becoming a patroness of Queens’ College Cambridge? Elizabeth took over the role of patron of Queens’ College from her predecessor Margaret of Anjou, but her interest in education and culture may have been inspired and would certainly have been encouraged by her brother, who was a true Renaissance man: spiritual, martial, thoughtful, and innovative. He brought the printer William Caxton to England and sponsored the first printed book; he was famous for his ability in the joust; and he was a loyal brother to Elizabeth and a devoted uncle to her son. The poem I quote in the book was indeed the poem he wrote the night before he died. We can only speculate as to the sort of man he can have been that he should spend his last hours on earth, not in rage or grief, but in crafting a poem of such detachment and clarity. If you could go back in time and live in any of the royal courts you’ve written about, which one would it be and why? I would be absolutely mad to want to be a woman of any of these times. A Tudor or Plantagenet woman was wholly ruled by men: either father or husband. She would find it difficult to seek any education, make her own fortune, or improve her circumstances. Her husband would have a legal right over her that was equal to his ownership of domestic animals; and the chances of dying in childbirth were very high. If one could go back in time and be a wealthy man, these would be times of adventure and opportunity but still tremendously dangerous. I think I would prefer the Tudor period to diminish the danger of being killed in battle, but there were still regular plagues and foreign wars to face. I cannot sufficiently express my enthusiasm for modern medicine, votes for women, and safe contraception. The younger Elizabeth emerges as quite a vivid and spirited character. Will we be seeing more of her in a future book? Elizabeth, the Princess of York, goes on to marry Henry VII and so is mother to a royal dynasty, just as her father and mother hoped they were creating a royal dynasty. She is, of course, mother of Henry VIII, and her granddaughter is England’s greatest queen—Elizabeth I. Elizabeth of York will be the subject of the third book of this series, to be called The White Princess. But coming next is the story of the mother of Henry VII, the indomitable Margaret Beaufort, whom you may have glimpsed in this novel but who deserves a book all to herself. It is called The Red Queen.